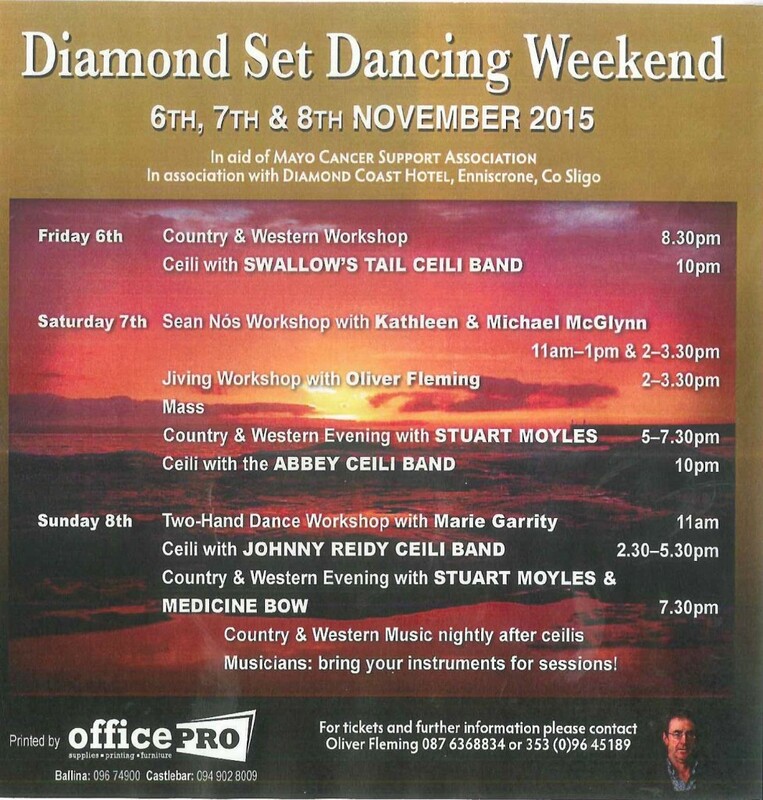 The Annual Set Dancing Weekend at the Diamond Coast Hotel in Enniscrone takes place this weekend,on Friday 6th, Sat. 7th and Sunday 8th November. Every taste in music is catered for, Country & Irish, Set Dancing and Sean Nos. This event is organised each year by Oliver Flemming and all proceeds go to Mayo Cancer Support Association, Rock Rose House, Castlebar. Come along and enjoy a fantastic weekend of fun and dancing.